Pop singer Prince Rogers Nelson, known as “Prince,” and formerly known as “the artist formerly known as Prince,” has died on April 21, 2016 at the age of 57. 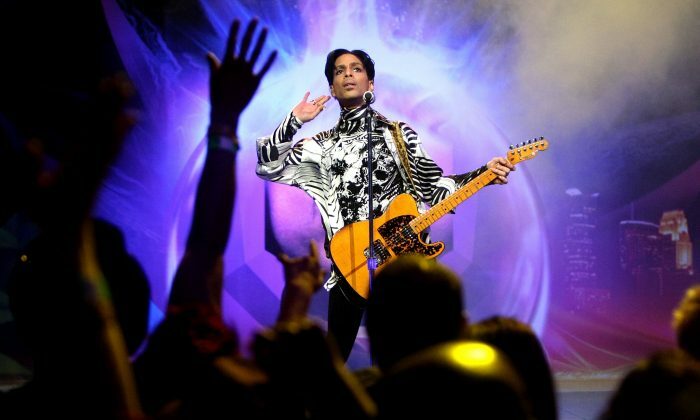 According to his publicist, the singer was found unresponsive at his Paisley Park compound in Minnesota early Thursday morning. Prince, who was born on June 7, 1958 in Minneapolis, Minnesota, won seven Grammy Awards and was inducted into the Rock & Roll Hall of Fame in 2004. Also, not only did he make a remarkable career on stage as a musician, but he also did well on the big screen. Purple Rain is a classic, and one of the most talked about Prince films, opening on July 27, 1984. It is a semi-autobiographical of a musician’s rise to stardom showing a struggling musician, “The Kid” (Prince) dealing with his hatred and bitterness towards his abusive father as well as his love for a young woman. In this film, which came out on July 2, 1986, Prince played “Christopher Tracy,” who is a pianist at a hotel in Nice, France, on the Riviera. He and his friend are enjoying life by scamming money off rich women in Miami. One day, they read about a young trust-fund beauty who is set to inherit $50 million from her father. The friend suggest to Christopher that he should romance her for her money, but as he spends more time with the woman and gets to know her, he falls in love with her. Christopher’s love for the woman evidently comes between him and his best friend. Prince plays himself in this November 20, 1987 concert film. It’s a music documentary that showcased a lot of theatrical staging and live performances by Prince and his band. Prince not only starred in this film, but directed it too. Graffiti Bridge, which came out in November 2, 1990, is the “unofficial” sequel to Purple Rain. The Kid (Prince) and his rival are partners at a night club and they make a bet over who could write the best songs—both have different ideas of how to run a business, which becomes the prize of the bet. Under the Graffiti Bridge in the park, the Kid meets this girl named Aura and falls in love. His rival tries to steal his girl yet again, and in the end, she dies in a tragic accident. The Kid is affected by Aura’s death, but it also boost up his confidence. He later composes a great Ballard and his rival allows him to keep the night club.